We have been having fun before Valentine’s Day. 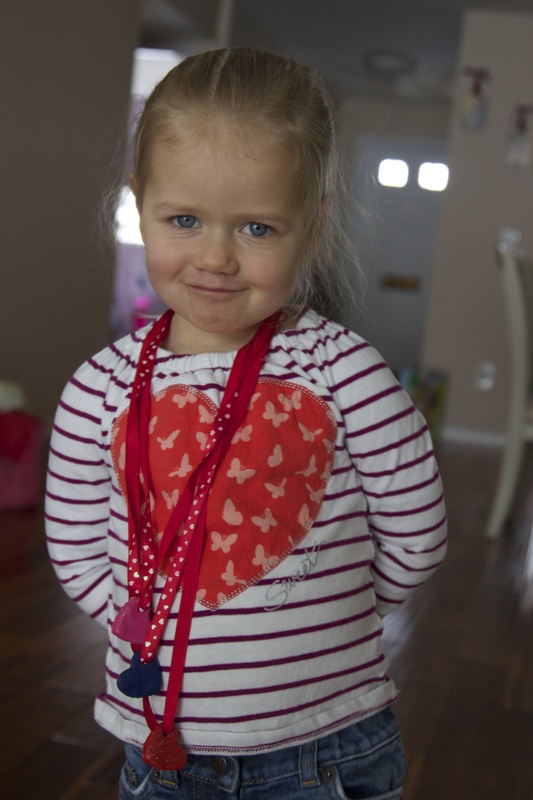 One of our project last week was making Valentine Heart Necklaces, which took us a few days, but it was really fun and I would love to share it with you. 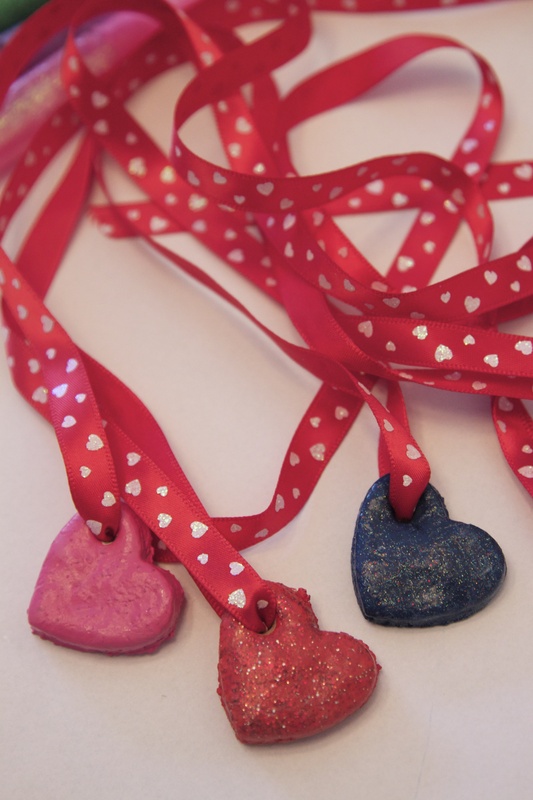 Salt Dough Valentine Heart Necklaces. 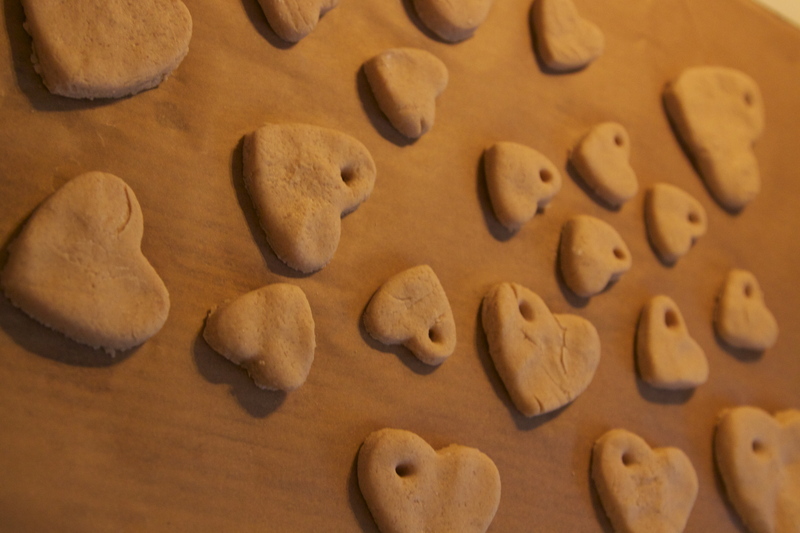 We cut them out using heart cookie cutters and added a hole before baking. 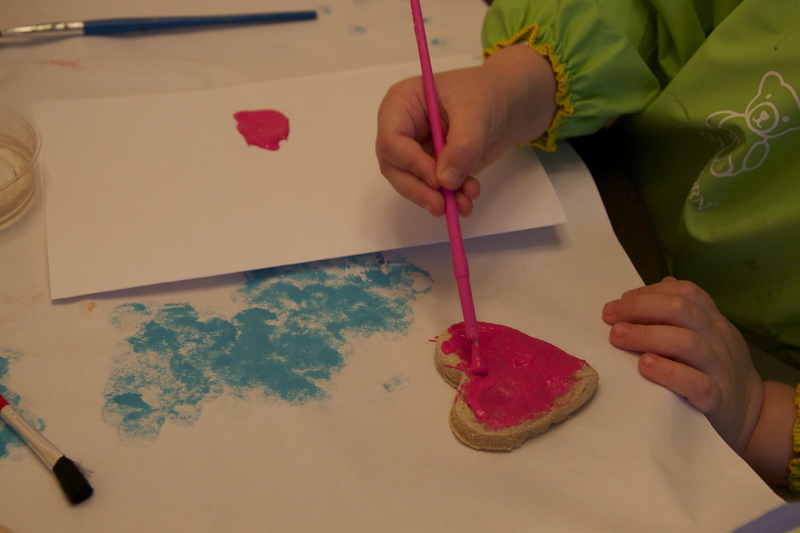 After baking,we painted the hearts using acrylic paint. When the paint had dried, we cover them with acrylic sealer. 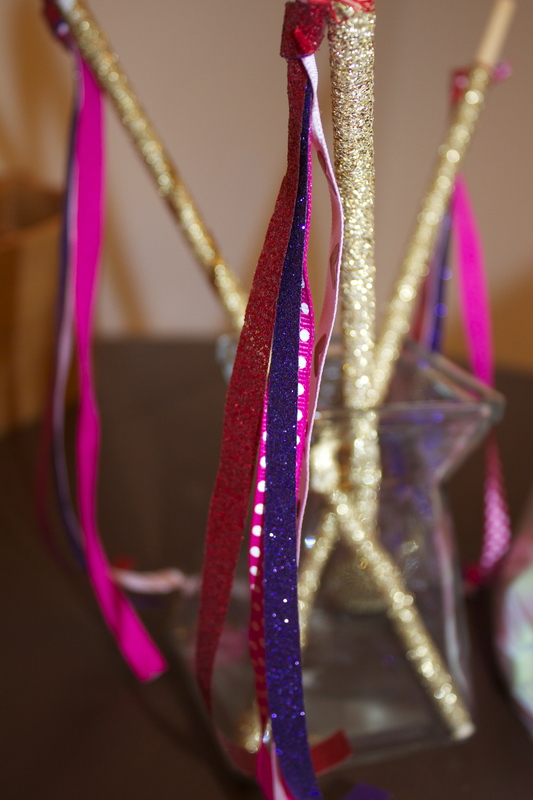 Finally, we added 25″ long skinny ribbon and made lots of bright pretty necklaces. 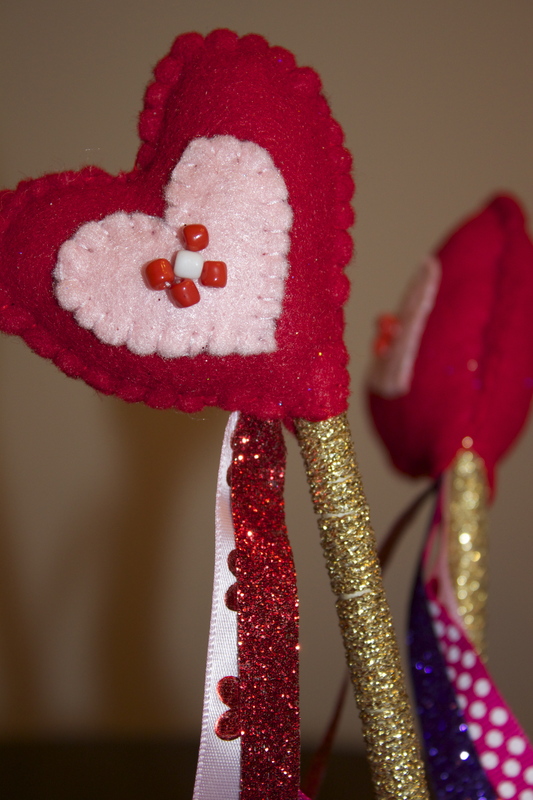 Valentine’s Day is coming and we start getting ready for this romantic, special holiday. Our daughter is the real princess, so to make her games even more fun, I decided to fix some handmade magic wands for her. 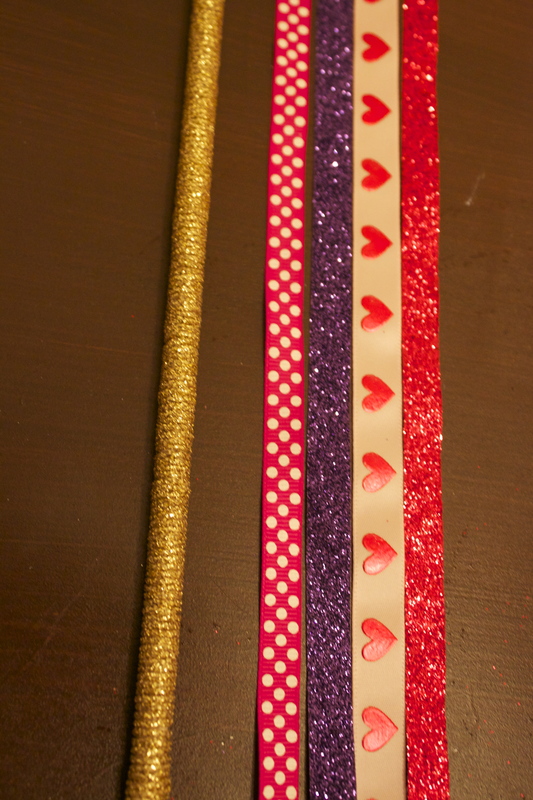 Because Valentine’s Day is so close, I made them Valentine’s Day Princess Magic Wands. The best thing about them, you can even use them for decorating your house. I am on my way to finish a few more, but can’t wait to share with you this tutorial. 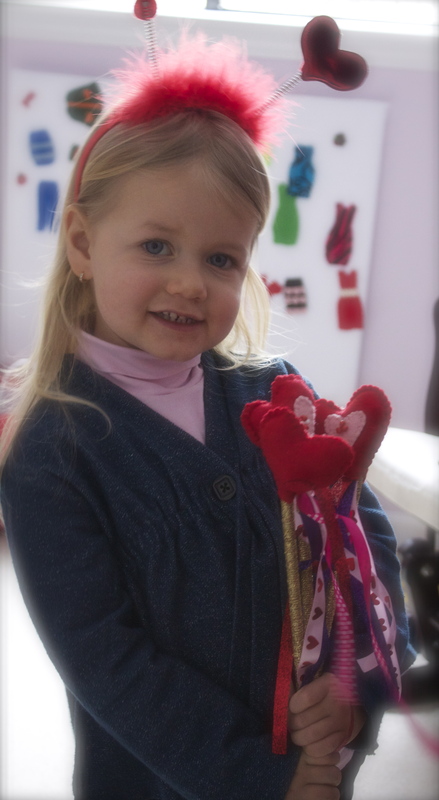 Valentine’s Day Princess Magic Wand. pretty things to embelish with – think buttons, beads, shells. 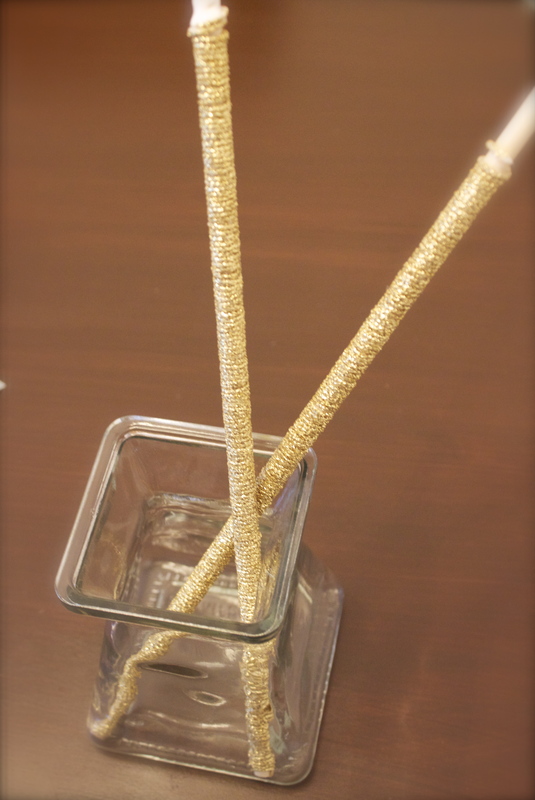 It depends what you will use, but first step you wrap your wooden stick with the wool or sparkly string, using the craft glue. Start wrapping up the stick; you will cover in your blunt end as you go, add more glue every few inches but don’t be too generous or it will get messy and set hard and nasty. Cut three, four, five lengths of narrow ribbon in whichever colours you like/have. Cut the ends on a diagonal so they are less likely to fray) then tie them all together in a knot close to one end. Thread your needle with a new piece of floss (two strands the same colour you used to sew the outside edge) and knot the ends. Sew in and out through your ribbons around the knot til you are sure it is quite secure and sew it to the string to the stick a bit like you are sewing on a button. When you can give it a good strong tug and it doesn’t budge move on. Now for your top bit. 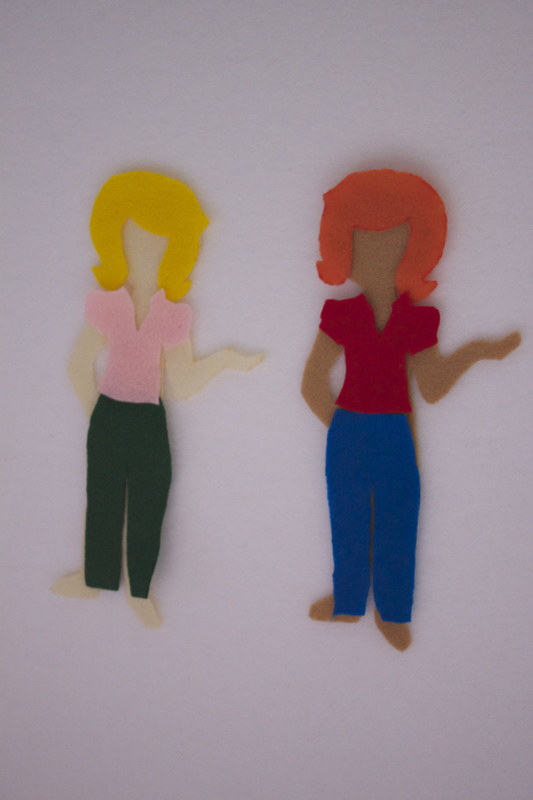 Cut out two pieces of felt in the main shape and one smaller piece either the same shape or something else you fancy. Take one of the main pieces and attach the the smaller one however you like – make sure that you hide your knots and ends. After it is secure you can embelish a bit if you want to, or not. If you are making it for a child younger than three I would say not – all the pretty bits are choking hazards; but you could embroider some pretties on. When you are done sew the two main pieces together; first check where you want your stick to sit and starting just to the side of where it will come out, stitch up and around leaving about an inch or so open at the bottom/side for stuffing. Using your fingers stuff gently – aim for it to be firm but not fat – you can add a little right at the end before you close it if you need to. Keeping the thread attached; poke the stick up inside your wand top and give it a wiggle til it sits nicely. 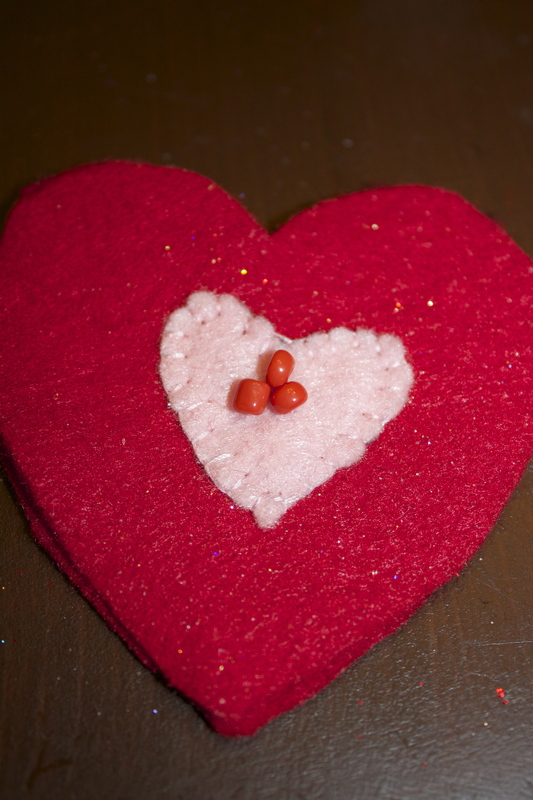 Holding it firmly against your beginning stitches begin sewing your hole closed by sewing into both the felt and the wool around the stick – you can stitch all aroudn the stick this way and then blanket stitch the last of the hole closed. Now give it to your little one and let her make as much wishes as she wants!!!! 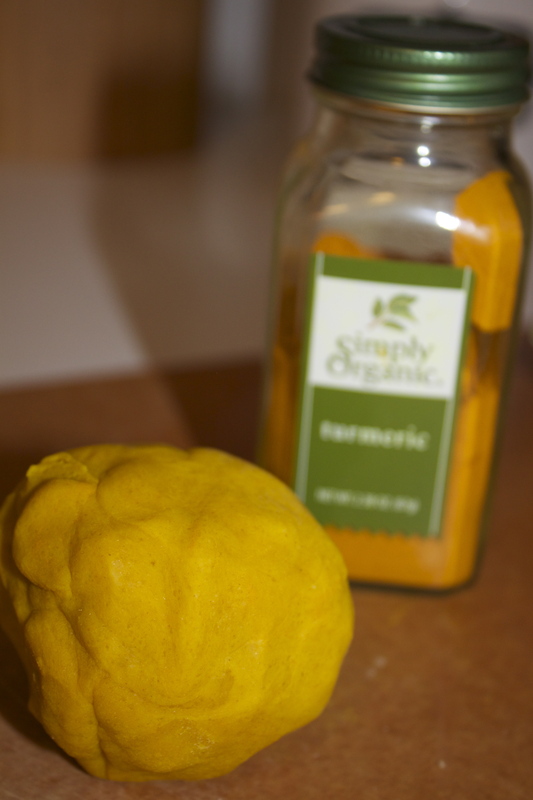 The Best Organic Play-dough recipe. 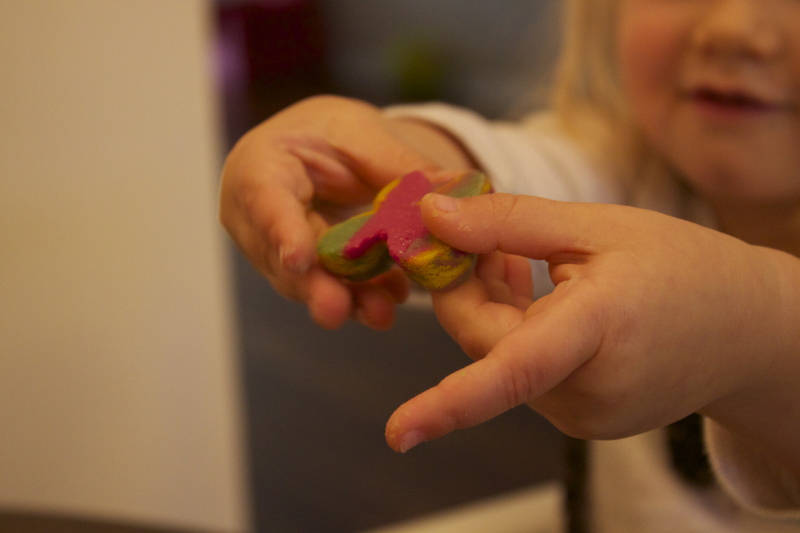 My daughter has been asking about play dough for a while. She plays it at school and at the Art classes. This sounds weird but first I was thinking she is too young and will make our house covered with play dough. The other reason I didn’t get her play dough was the chemicals in it. My first step was to buy a play dough at her Art school ( it supposes to be handmade and natural), but then I realized if they can make it, I can make it too. 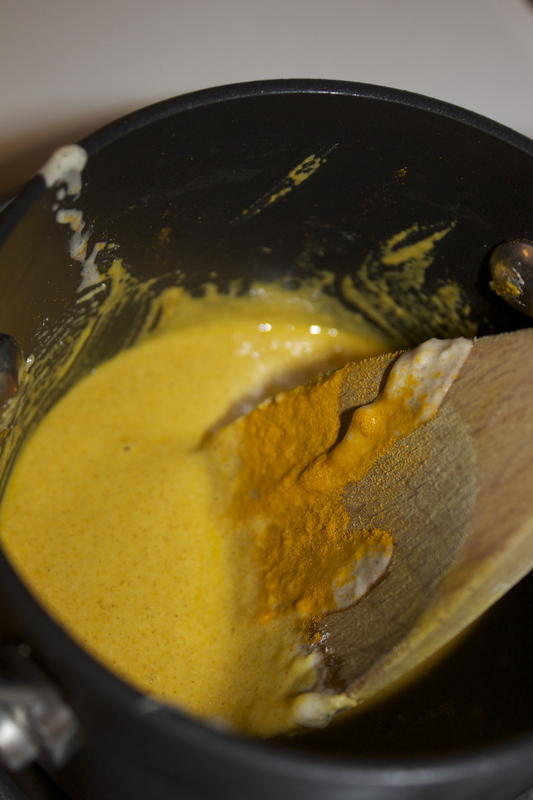 The ingredients are really easy, the only special one is cream of Tartar. It took me a few days to find it at the grocery store. ( I got one at Target). 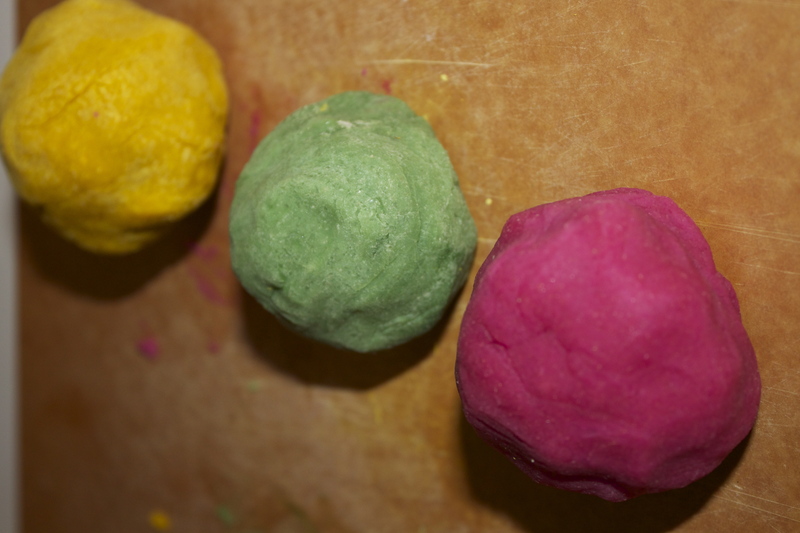 Play dough supposes to be different colors, and a lot of recipes ask for food coloring. When I checked the regular food colorings from the grocery store, I was in shock. All these food colorings (you are allowed to eat them) are full of chemicals and make your food bright rainbow colors. It is definitely not a real food, and looks dangerous for my kid. After some searching on the internet I found easy ways for food coloring that you can make at home from real vegetables, fruits, spices etc. 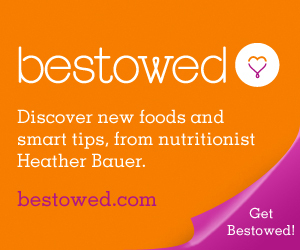 The easiest ones are: turmeric ( to make your food yellow), beet juice ( to make your food bright purple or pink), carrot juice ( to make your food orange), red cabbage ( to make your food purple) , basil ( to make your food green) etc. 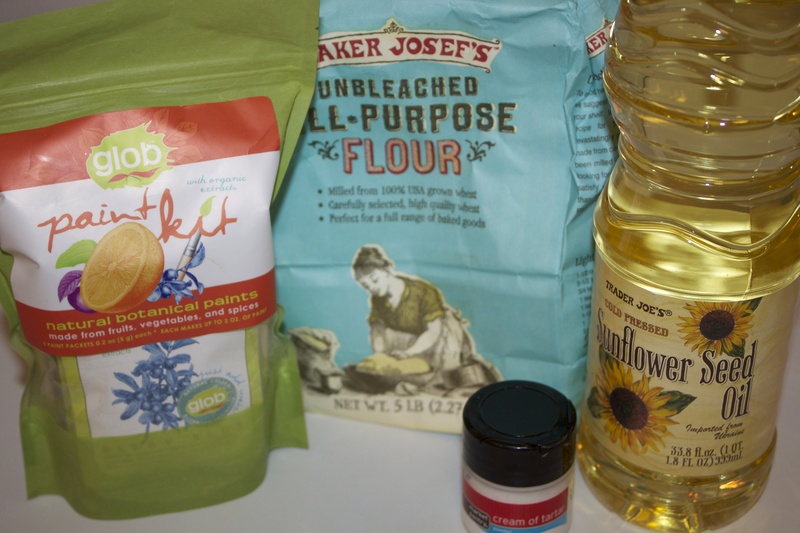 If you are too lazy to make your own food coloring, there is the other option for you. Sophia got this paint set for her last birthday. 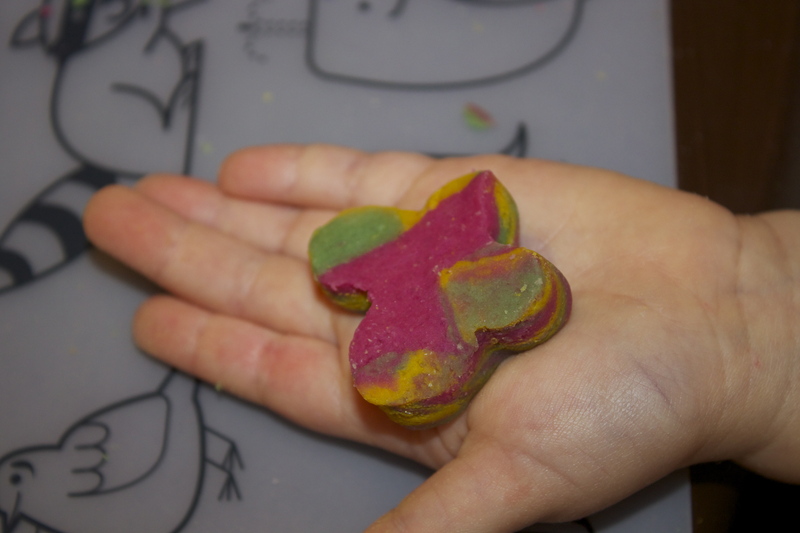 We didn’t use it before, but I tried it for the play dough and it worked great. 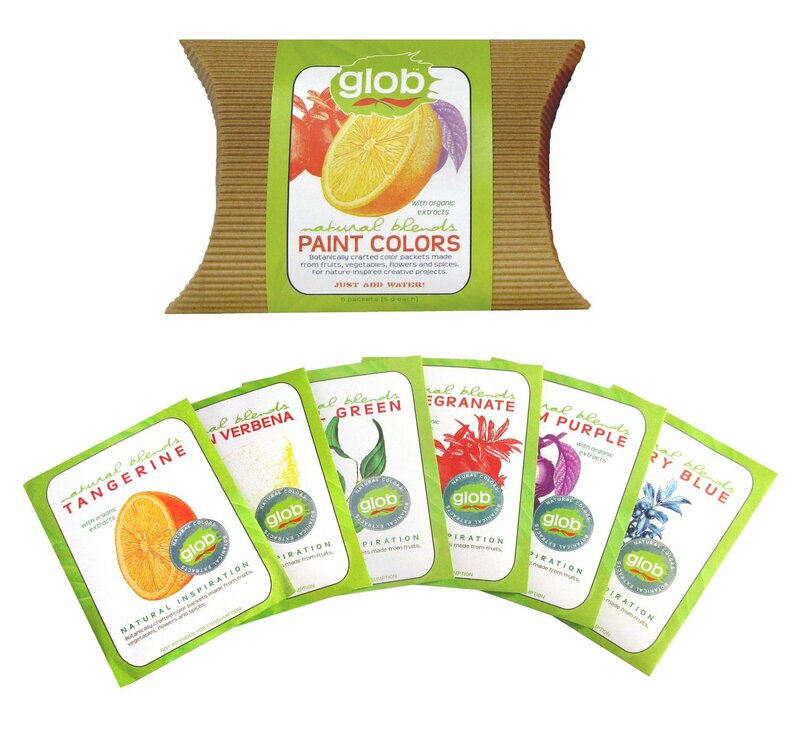 These paints are completely plant based ( made of vegetables and fruits). Waiting for my daughter at the Art school I heard the conversation between moms about their kids were eating play dough, and one of them just reccomended the other one to buy the Organic Play dough from the school ( 35$ for the few pieces). Really? Just make your own. You will save money, and will know that it’s really safe for your kid. I divided the mixture for three parts and mixed every single one with the separate coloring. Stir. Don’t stop stirring. After a few minutes it will start to clump up. 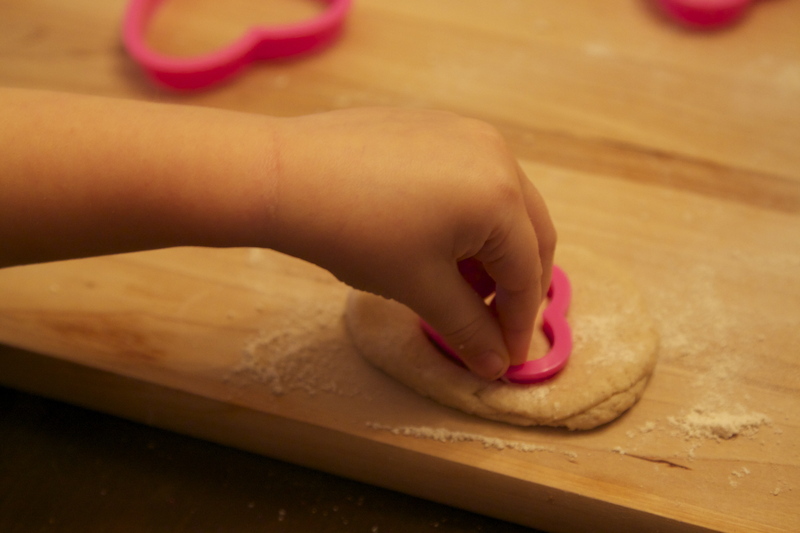 Stir, Stir Stir.Just keep stirring until the Play Dough is formed. It will form one big clump. Note: If you forgot to add sparkles in the mix at the beginning, you just knead the sparkles in and it turns out just fine. Once cooled it’s ready to go. Package it up for some party favors or stocking stuffers. As far as how long it lasts, as long as it is stored right, it should last at leas up to 6 months. I’d suggest wrapping it in plastic wrap (or a Ziploc bag) and then putting it inside your sealed container… and it could last even longer. Every sealed container has air, and air can dry out and/or mold your dough, which is why I suggest wrapping in plastic wrap first. 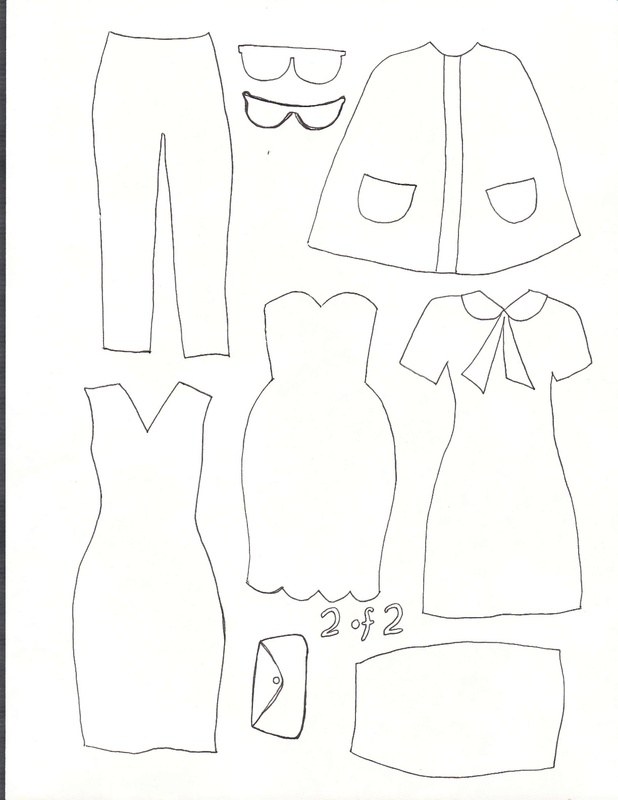 Dress up set for the Felt Board. 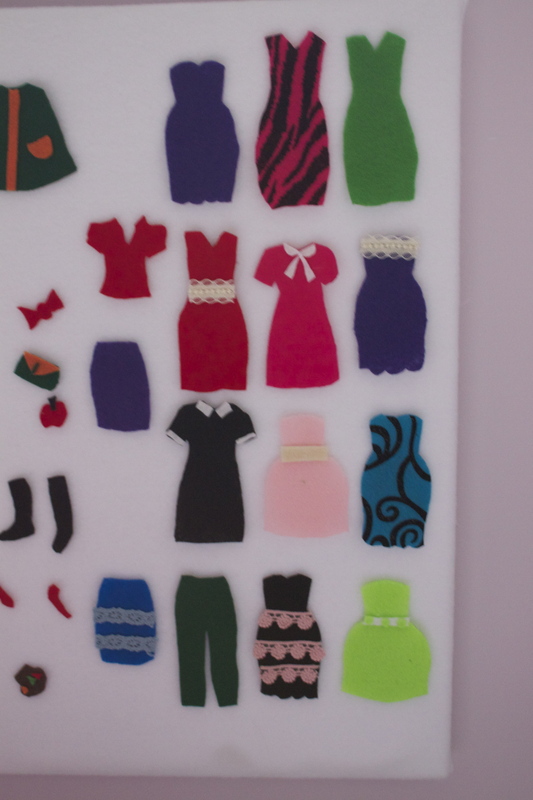 I made felt board for Sophia few month ago, and she liked it a lot. 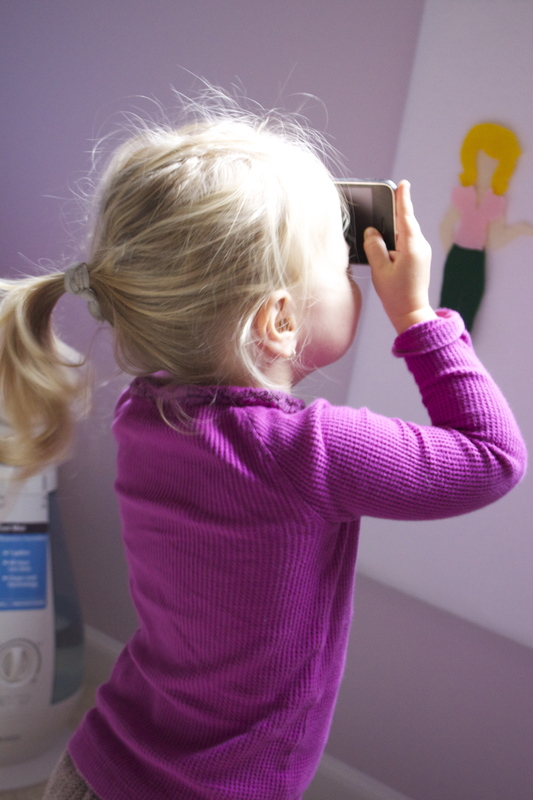 Recently she is more interested with dressing up, changing her dolls and all her games are about dresses and clothes. 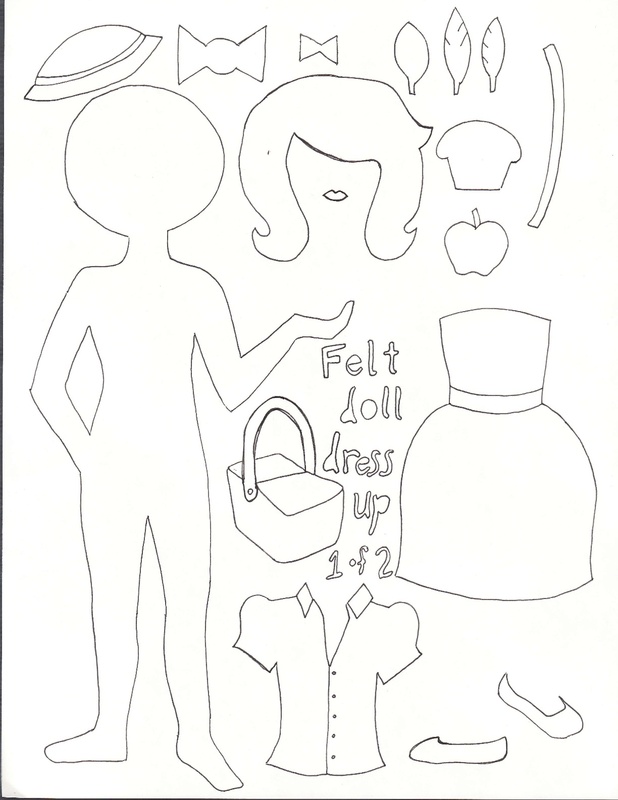 So I came up with idea to make her the felt dress up set. 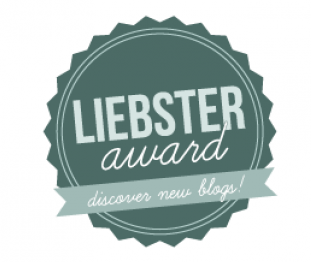 I found some cute ideas on one of the blogs. This girl even has cut up pieces for the set already. 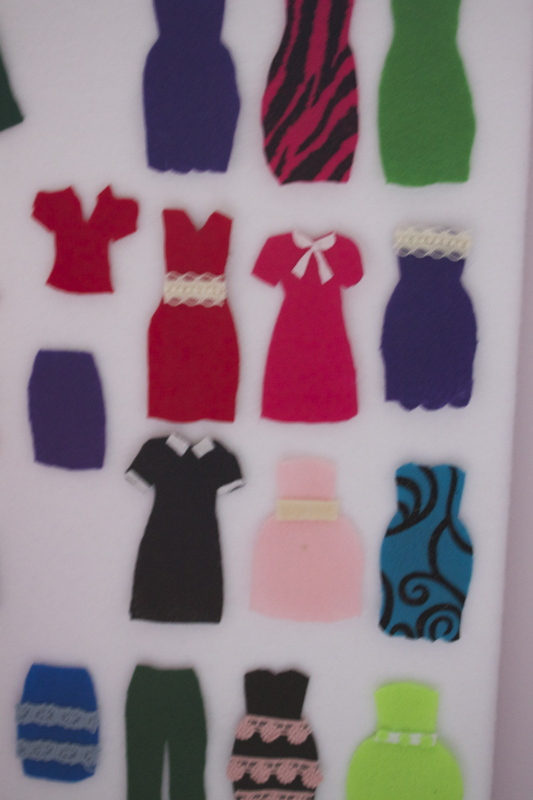 I printed out the cutting pieces and used some felt, ribbons and beads I made plenty of clothes pieces for the felt dolls. I am still in process of making more pieces, because as you know there is never enough dresses for any girl:), but it looks like Sophia enjoys playing with her new game and change her felt dolls every ten minutes. This is a great idea for the presents for the coming holidays, because it’s really easy to make and it will definitely make your daughter happy and excited.